So if you liked The Hangover, go check out Bad Moms. I was a bit sceptical at first. Would it be too cheesy for me? Nope. I’m warning you now, take your tissues as you’ll be in tears throughout (as you’ll be laughing so much). One of my favourite actresses is in Bad Moms, Mila Kunis (Amy) who is her usual hilarious self. I’ve always rated her since I saw her in Best Friends with gold old talented Justin Timberlake. I first came across Mama Squad on Instagram. It’s a community set up by the lovely Donna. It’s all about celebrating mamas and supporting each other. 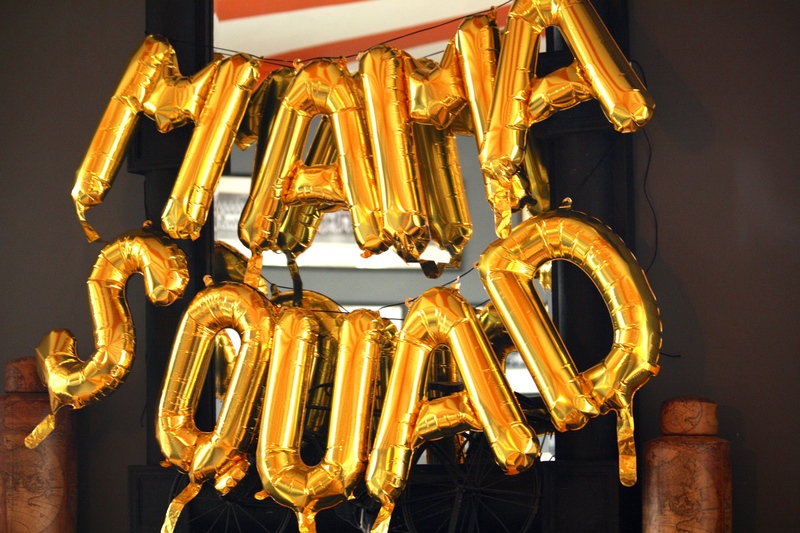 Donna organised The Mama Squad Assemble so ladies could hang out, enjoy some me-treat time, learn about stuff and go home with a bit of inspiration. Even better as Mama Squad Assemble featured a talk by Grace Timothy of Mum Face. Grace has worked in the beauty journalism business for over 10 years including a role as Contributing Beauty Editor at Glamour. Yep, she really does know her stuff when it comes to looking good and more importantly feeling good. Baby Munch is now over a year old and I refuse to call her anything but a baby. Since she turned one, I’ve been meaning to redecorate or restyle her nursery (I guess I should be calling it her bedroom now). When we visited Australia last Christmas, I discovered lots of amazing baby brands over there. Bambella Designs UK also originates from Australia. The founder, Jasmine Vanstone, was a social worker looking out for children before she decided to focus on designing and selling contemporary accessories for babies and small children. In Australia, Bambella Designs is known as one of the most fashionable brands for stroller accessories. Yesterday we celebrated the news of somebody’s engagement. It’s such an exciting time as you start to plan the rest of your life with someone who you really rate. Oh and you start to plan one of your best parties ever! Hearing us all share numerous wedding tips, it reminded me of our own wedding day(s). We were very lucky to have two weddings; the civil ceremony and the Hindu ceremony.